This page describes the steps necessary to configure a fresh installation of SafeCap Platform to obtain a minimal modelling environment based on the results of the SafeCap Project. Other tool specialisations are possible and the following instruction only cover one specific scenario. There is a schema verification tool based on the ProB model checker. The tool is made of two Epsilon scripts: an EGL script to transform a schema into a B model and and EOL script to interface with the model checker. At the moment, it is outdated and we are working on a more advanced version. It does demonstrate, however, the general approach to interface with external tools. We also provide several examples of schema transformation patterns and capacity metrics. Again, these come in the form of Epsilon scripts and may be used as a starting point to define new patterns and scripts. 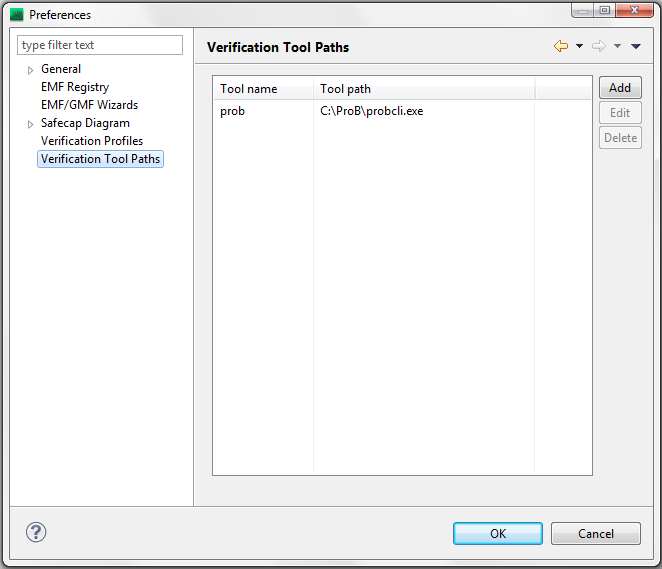 To run verification, a user needs to define at least one verification profile – a set of tools that are used together on a given schema. 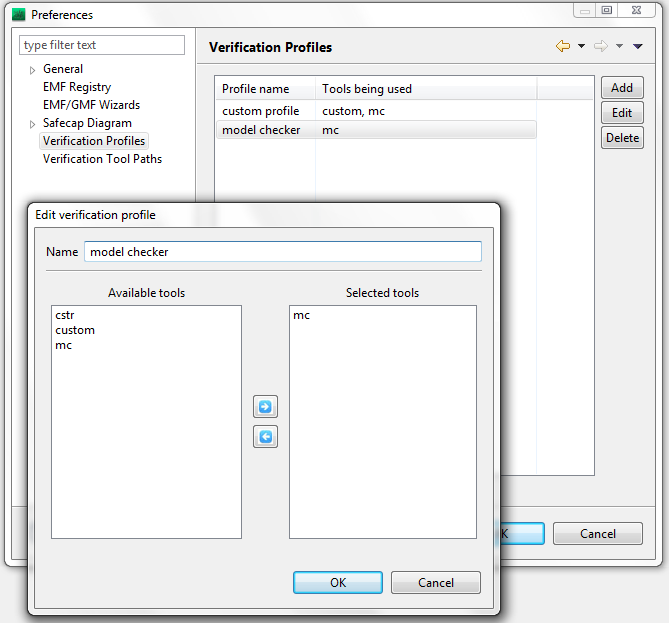 We show how to define a verification profile made of a single tool Verification/t_mc.eol; other tools may be added to this profile or additional profiles may be defined. From this point, the verification button may be used to launch any of the defined verification profiles. By default, it starts the last one used. example projects will appear in the workspace.